During the Civil War Battle of Shiloh in April of 1862, a Confederate soldier from Louisiana was captured by Union troops. 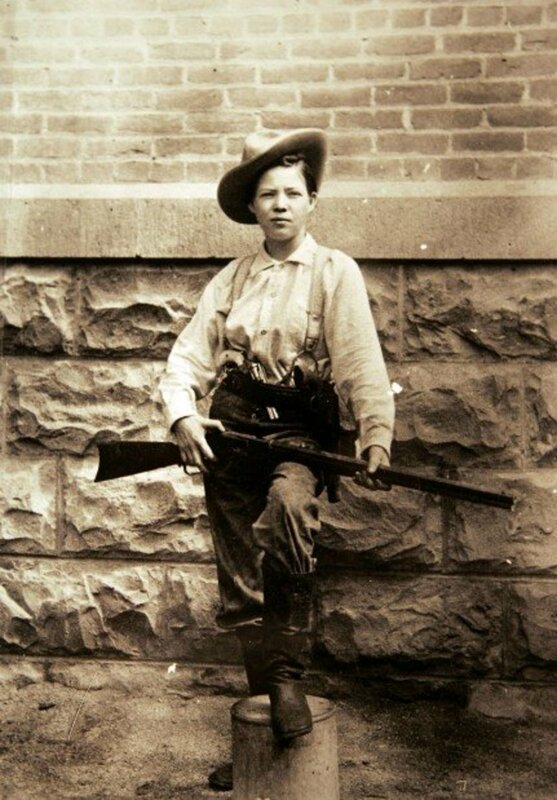 Normally the young man, whose name was Barrow, would probably have felt very apprehensive about the treatment he might receive as a prisoner of war. But he knew he had a friend among his captors, one who was in a position to help him. That friend had been the founding superintendent of the Louisiana State Seminary of Learning and Military Academy. Barrow had been a cadet there before volunteering to fight for the Confederacy when the war began. Now his former mentor was the commander of the army that had captured the young rebel. And as ex-Cadet Barrow was sure he would, General William Tecumseh Sherman remembered his one-time student. After the battle was over I found among the prisoners an old Louisiana Cadet named Barrow who sent for me and told me all about the others, many of whom were here and knew they were fighting me. I gave him a pair of socks, drawers & shirt and treated him very kindly. 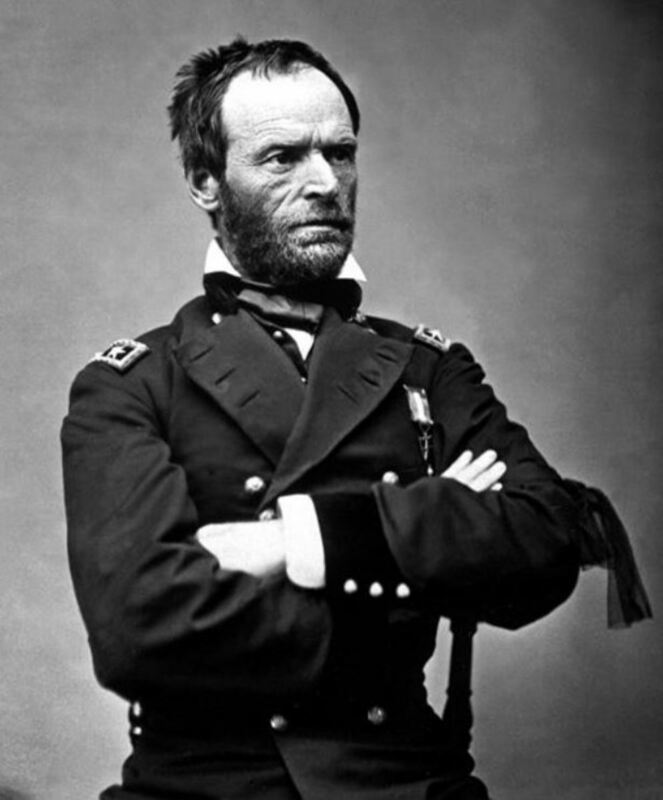 In the wake of the terror and devastation his forces inflicted during his 1864 campaign to capture Atlanta and then march his army through the heart of Georgia to the sea, William Tecumseh Sherman would be considered by many Southerners as little short of the devil incarnate. But the cadets and faculty at the Louisiana State Seminary, which after the war would become Louisiana State University, never felt that way about him. 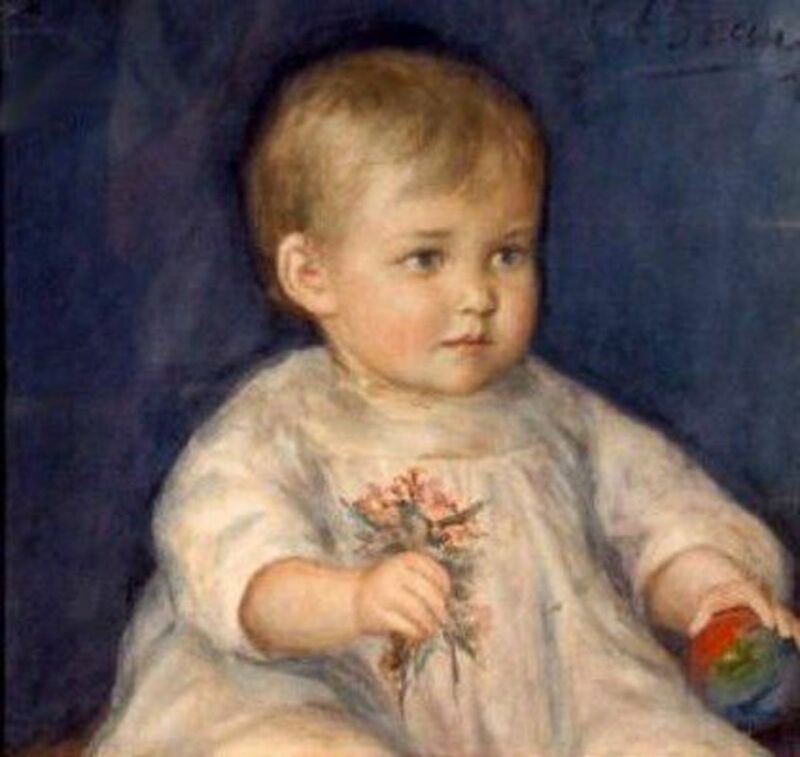 Knowing he would have to build the institution basically from scratch, Sherman got enthusiastically to work, even though his salary wouldn’t begin for another two months. New to the task of leading a military academy, he wrote to his own old superintendent at West Point for advice. He also consulted future Union General-in-Chief George B. McClellan, and even traveled to Kentucky to visit a similar school in that state. 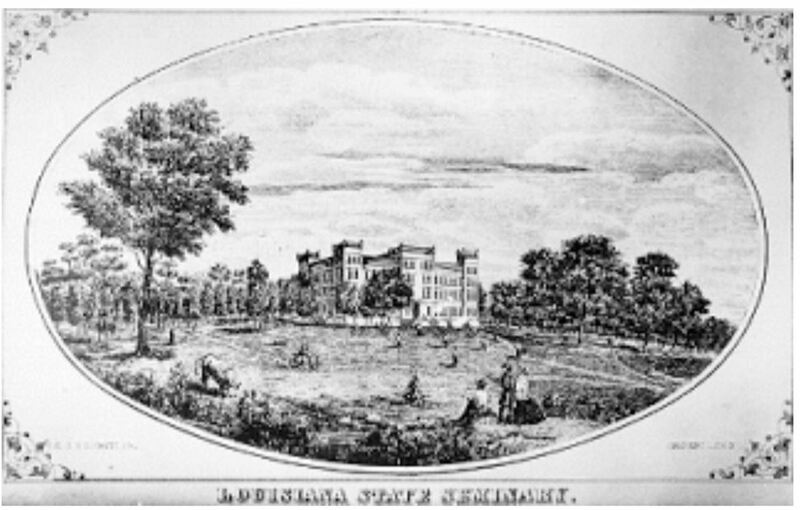 Sherman had every intention of making Louisiana’s state military academy a first-rate institution, and by all accounts, he succeeded brilliantly. Sherman’s cadets had been drawn almost exclusively from the rich planter class of Louisiana. They were spoiled and head-strong, having grown accustomed to dominating slaves rather than doing arduous work for themselves. They did not take well to rules and discipline imposed on them and Sherman was regarded as far too strict, harsh, arbitrary, and inflexible. Although it seemed that Sherman had made a bad start with his quick tempered students, it didn't take him long to turn their attitudes completely around. He remained a strict disciplinarian, but he also displayed a personal concern for both cadets and faculty members that endeared him to them for life. One soon saw in him two men—the stern, strict, exacting man of business or duty, and the kind sympathetic friend and adviser. He made every professor and cadet at the Seminary keep his place and do his duty. To me, who had seen more of him and knew him better than any one else in Louisiana, his leaving was like parting with a father and a dear, loving friend both in one person. I never lost this feeling for him a jot or tittle. And the cadets! How they loved him. 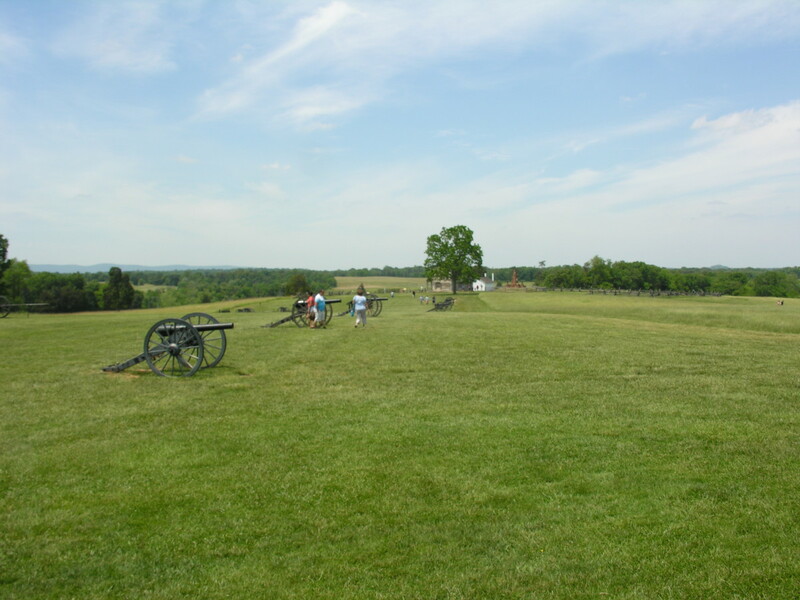 Nearly every man and boy of us who remained that morning at the Academy went into the Confederate army, except two who entered the Union army. Some of us were captured, I among them, and whenever Sherman heard of it we soon felt his sympathy and his helping hand. He never forgot us. Of all the men I have ever known intimately and well, he was the greatest and one of the very best. I am proud of my unique experience——a professor under Sherman and a soldier under Stonewall Jackson. (After the war Boyd would be severely criticized by Confederate veterans for having such kind words to say about a man much of the South considered an inhuman monster). 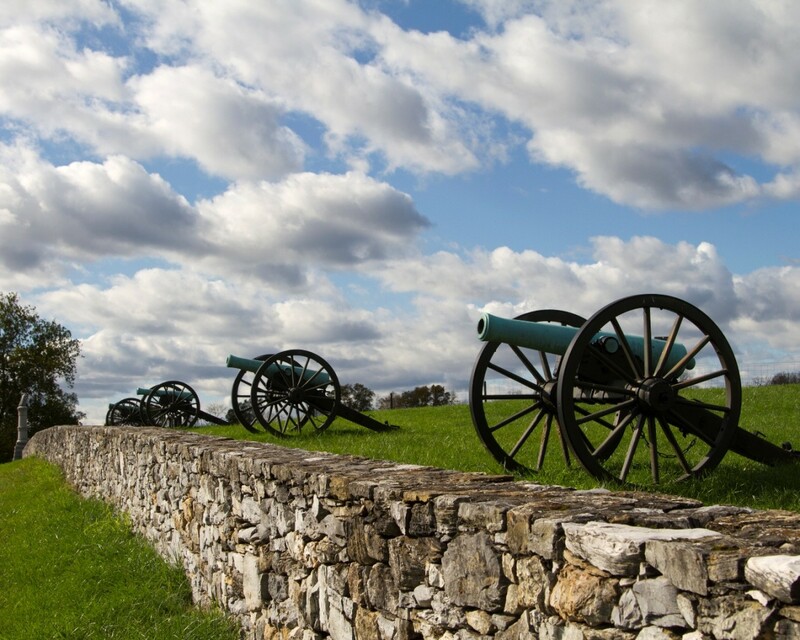 Who was the real William T. Sherman? 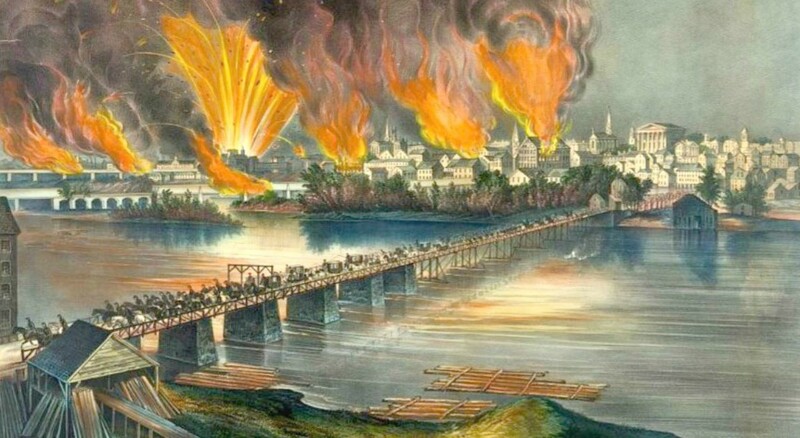 From the moment Sherman arrived in Louisiana, talk of secession and civil war had been in the air. The future Union general always professed great love for the Southern people who had received him so warmly. But Sherman was a confirmed Unionist. 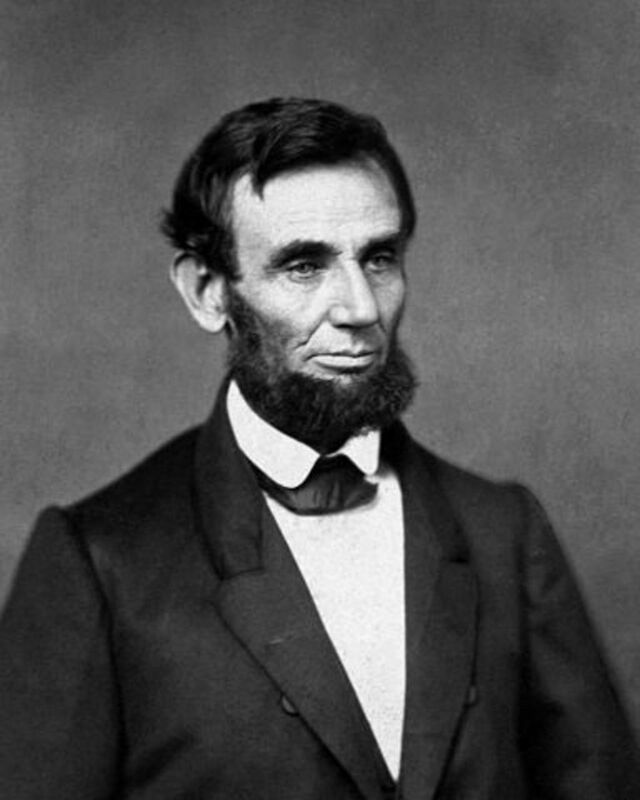 From the beginning of his tenure at the Louisiana State Seminary of Learning and Military Academy, he had made it clear that if Louisiana seceded from the Union, he would have to leave. January 18, 1861, Governor Thomas O. Moore, Baton, Rouge, Louisiana. Sir: As I occupy a quasi-military position under the laws of the State, I deem it proper to acquaint you that I accepted such position when Louisiana was a State in the Union, and when the motto of this seminary was inserted in marble over the main door: "By the liberality of the General Government of the United States. The Union—esto perpetua." And furthermore, as president of the Board of Supervisors, I beg you to take immediate steps to relieve me as superintendent, the moment the State determines to secede, for on no earthly account will I do any act or think any thought hostile to or in defiance of the old Government of the United States. By this time Sherman had become so beloved and respected for his accomplishments at the school, that not only did his colleagues and students beg him to stay, but influential state officials did as well. As Boyd notes, men such as Braxton Bragg, P. G. T. Beauregard, and Richard Taylor, all of whom would become Confederate generals, urged Sherman to stay on as the head of the school, assuring him that he would not be required to fight in any way for the Confederacy. But Sherman hated secession, believing it to be treason, and decided that he had no choice but to go back to the North as soon as it became clear that war was inevitable. Despite his undying love for the school he founded, for his students, and for the Southerners who had welcomed him into their hearts and homes, Sherman became an implacable foe of all secessionists. That’s the Sherman many in the South would remember and hate for decades after the war. But for his colleagues and students at the Louisiana State Seminary of Learning and Military Academy, William Tecumseh Sherman would always be the beloved mentor who cared for them and never let them down, even when they fought against him. Thanks, Mel. 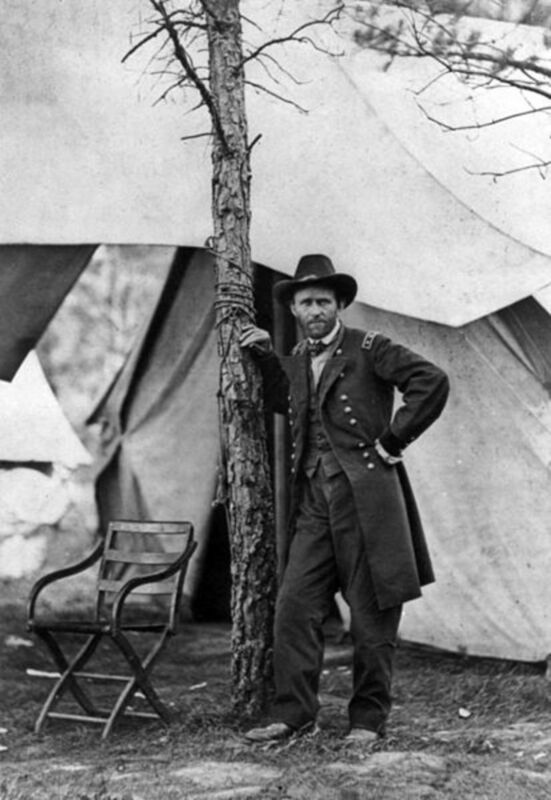 For me Sherman is #3 on the list of the most effective generals of the war, behind Grant and Lee. But I'm not holding my breath to see a statue of him go up in Atlanta, or in some other places as well. There are a lot of both positives and negatives in his legacy. Sherman is the most underrated General ever, in my opinion. He took Atlanta and defeated the deep South while at the same time using his men's lives very judiciously, but Joseph Johnston's penchant for retreat might have had a little to do with that. As a side note, I often wondered before the Atlanta Olympics how it would have gone over if they would have dressed up someone like Sherman and galloped him out to light the torch at the opening ceremonies. It is amazing that 150 years after the fact there is still a lot of deep feeling about this subject down south. Peace brother, peace. A peace activist is not passive and certainly not a fool. Use the mind God gave you and find peaceful solutions to your problems. Teach your children to walk away from a fight, not start fights. What is your ideal, peace or violence? Talk not much with a fool, and go not with him that hath no sense. Talk not much with a fool, and go not to him that hath no understanding: beware of him, lest thou have trouble, and thou shalt never be defiled with his fooleries: depart from him, and thou shalt find rest, and never be disquieted with madness. Hopefully we are now settled: Do not kill. We are energy beings or light beings. This is proved by the existence of telepathy. See Hubs, "My Telepathic Experiences" and "The Twelve Suggestions." Science has proved this at the quantum level. Our energy cannot be destroyed. This is also called the spirit. All religions assume there is a spirit or we are spirit. After all my reading, what I trust is my own telepathic experiences which prove we are spirit energy. Sherman (and Grant) destroyed the material bodies of many people, but not their spirit bodies. Why is the destruction of the material body wrong? First, a spirit enters the material body to learn. Killing the material body retards the education of the spirit. Second, Killing a material body shows the killer is a materialist and not spiritually centered. Third, killing is a use of force or dominance of one person over another. The spirit of the killer must learn not to use such force on others, but learn to gain voluntary cooperation. Here are two other alternatives to the civil war. 1. Reunite with England with specific guarantees. 2. Unite with Mexico and form a continental power. The Old South was already mismatched to the North in power. Forming another unification would further strengthen the anti-slavery cause. Both England and Mexico had abolished slavery. Let me be more direct to make the point. The Rabbis lied about having a covenant with God in order to justify their genocide of the Canaanites. We know the Rabbis lied because The Lord God of heaven would never order a genocide. Renounce the Rabbis and the God of Israel. Stop being controlled by the Rabbis. To find God turn to the God of Jesus. Jesus taught to love one another and your enemies. Jesus Never taught to take up the sword and kill anyone. Luke 22:36 may be a mistranslation. It may be a call to preach strongly. It does Not ask anyone to kill. I really do not know what Luke 22:36 is saying, but killing people or doing violence is completely against what Jesus stood for. Here is yet another alternative to fighting. Abolitionists could sail cargo to the South and then pick up slaves. The slaves would not be runaways, but sailaways. They could not be tracked, no safe houses would be needed. Abolitionist vessels could make money doing it. Abolitionists could train slaves to be sailors and pay a sailor's wage. Can you think of another alternative to the Civil War? Paguilar wrote, "The Old Testament teaches that there is a time to kill. The Jews had to fight to obtain their lands promised to them by God and indeed was commanded to do so." First, Abraham married a Canaanite as did many of his people. The "Jews" and "Canaanites" were interbred. The interbreeding occurred a long time ago and continued. Therefore there really is not a "Jew" and a "Canaanite." There is no separation between them. We should recognize that all people are of a common origin and not use linage to justify the use of force. Second, the "Jews" were wrong in their divine claim to land. We know this because violence (including killing children) was used to appropriate it. God does not promise land to a special group of people and say go kill for it. This is how we know the Book of Joshua is not Christian scripture. The problem is Christian ministers are being controlled by Rabbinic doctrine. I am asking Christian ministers to follow the teachings of Christ, not the Old Testament, Rabbinic teachings. In the end we must make an individual decision. We are not kings, presidents or ministers. Over identification with people in power indicates megalomania. How do you tell a megalomaniac he is megalomaniac? Stop thinking in terms of controlling others and instead control yourself. You are not to kill or do violence. Increase your thinking and find constructive alternatives. for example: the Underground RR, movement of slaves to Monrovia, use a population shift of abolitionists to a key state in the south. Try to use your intelligence and think of more alternatives. Thanks for reading, paguilar, and for a thoughtful discussion of the relationship between war and the Christian faith. War is not contrary to Christian principles, so long as it is a just one. "JCO" is right to an extent that Jesus taught in the Golden Rule that we are to love one another as we love ourselves, for the love of God; and that we must do unto others as we would have done unto us. Jesus also said blessed are the peacemakers. Not to mention that one of the Ten Commandments is that we should not kill. But Christianity is not pacifist, wherein no amount of violence is permitted; or else Jesus would not have said in Luke 22:36 "let him who has no sword sell his mantle and buy one". The point is that as Christians we must not love violence and must look to promoting peace using war only as a last result. Evil must not be allowed to remain unchecked. Satan cannot be allowed to roam about without us constantly fighting against him with prayer, fasting, alms-giving and all the works of mercy we are called on to perform. War is seen all throughout the Bible. The Old Testament teaches that there is a time to kill. The Jews had to fight to obtain their lands promised to them by God and indeed was commanded to do so. Then they had to spiritually fight to keep it until the coming of Jesus which brought about the saving of mankind and the opening up of salvation to the Gentiles that would come to believe in Him. Peace though is the ultimate goal of any conflict. Paul writes in Romans 13:4 in reference to the Roman government not bearing the sword in vain but acting as God's servant for "their" good. 5. The government has the responsibility for the common good and must decide that it is prudent. This said it doesn't mean that governments have a no holds barred approach to fighting. All life is still seen as sacred. We are all created in the image of God. So to destroy lives unnecessarily is always wrong. An example would be the atomic bombs in WWII targeting civilian non-combatants as opposed to Military forces. Sherman too is guilty of using this "Total warfare" where he caused a lot of destruction; albeit by torches not the atomic bomb obviously. Christians have the job of not only waging a just war but to do it justly. My research into Sherman's campaign has shown that he was very conscience of his methods. To the point that when his men began to pillage and plunder he initiated steps to put a halt to it and disciplined those who had committed these awful acts with physical punishment. His scorched earth policy targeted military valued targets and industrial targets like cotton gins. It did cause a lot of devastation but he did not kill any civilians unless met with equal force; at which they would become combatants. Thus the evil must not overshadow the good and must not be intrinsically evil and must be foreseen but still an undesired side effect of the action. With Sherman it was not the deaths of innocents but the destruction of fighting resources which was his principle goal. All in all to wonder what Jesus would have told Sherman would be inflicting our own judgement on Sherman. Commanders then were more conscientious then than some are now; they were not told to keep quite when it came to matters of their Christian faith. Ultimately war is only to be used when all those "constructive alternatives" do not work. Nice work ElFran and thanks Obrien for your intriguing questions. RonElFran: Yes I have written Hubs on the subject. "What do we know about the Alamo?" "How Would Jesus See The Gettysburg Address?" However, it would be nice for someone to consider the questions here and actually respond, "What would Jesus say to Sherman about war and fighting?" My point is simple, it is wrong to kill people. Am I wrong in believing this? Am I the only one who believes this? Why not seek constructive alternatives? Hubpages is designed for discussion. Most probably not. Even way back then in the 40s it as an abandoned derelict. What is amazing is that it was evacuated in a hurry during Sherman's Match but yet 80 years later those books were still in the place scattered about. Paper as of course in short supply by then and children had drawn on some of the books white pages- things like hoop-skirted ladies with parasols next to camels for example. Thanks Dr. Franklin. Jay, it's obvious that you have some strong convictions about the intersection between the use of military power and faith in Christ. Why not write a hub where you can fully explain your views and stimulate discussion. Best wishes. Thanks so much, Alastar. I really appreciate that. And what a family legacy you have, an actual personal connection to Sherman's March. I wonder if that house has been preserved. What a loss if it was not. It's great that those books are in good hands. Aethelthryth wrote, "I like your articles for teaching me things I didn't know about heroes I had and introducing me to new heroes." Let us consider who we make our heroes. We tend to emulate them. What would Jesus say to Sherman about war and fighting? Jesus said to Peter in the garden, "Peter, sheath your sword." He also taught to love your enemies; do good to those who hurt you. How do the teachings of Jesus compare to what Sherman did? Who is your hero, Sherman or Jesus? What a fine article here, Dr. Franklin. Sherman's familiarity with his travels throughout the south before the war certainly helped him in the future conflict and his tenure at the Louisiana military academy is just one more reason the American Civil War is the second most studied war in the world. He's something you may find interesting: in the 1940s my mother as a teenager and her cousin went into an abandoned house from CW times still standing that had been in the path of Sherman's March. Obviously evacuated there was still a library fairly intact. The naughty gals grabbed a few books giggling that turned out to be first editions of Milton's Paradise Regained and Dickin's Bleak House amongst others. They're still with me to this day. Thanks so much, aethelthryth. I'm glad you like them and find them interesting. I like your articles for teaching me things I didn't know about heroes I had and introducing me to new heroes. Thanks, MsDora. I think Sherman is a great example of the complexity of human nature! Jay C OBrien, thanks for your input. 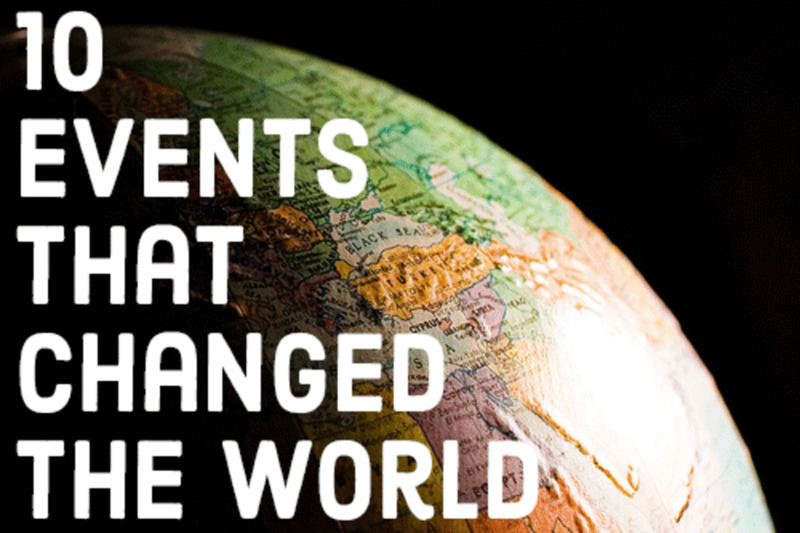 Your articles are more than historical; they're inspirational as well. Sherman deserves our respect for the personal concern he showed to soldiers like Barrow and others. Nobody is understood and liked by everyone else. The title of the institution was, "The Louisiana State Seminary of Learning and Military Academy." 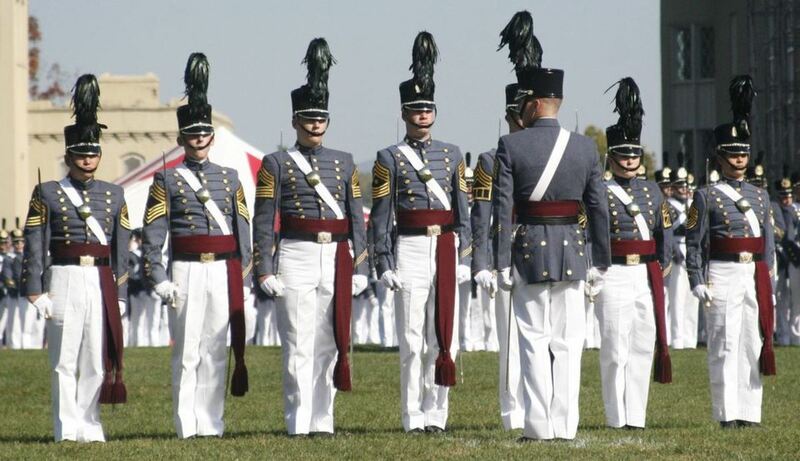 A seminary teaches theology (I assume Christian) whereas a Military Academy teaches warfare. To me this is contradictory. Christian theology teaches what Jesus taught: be kind to your enemy; love one another; do to others that which you would want done to you; sheath your sword. Condemn not, nor judge, etc. Jesus never taught people to kill one another, but that is what a military academy does. Sherman chose military power rather than to follow Jesus. 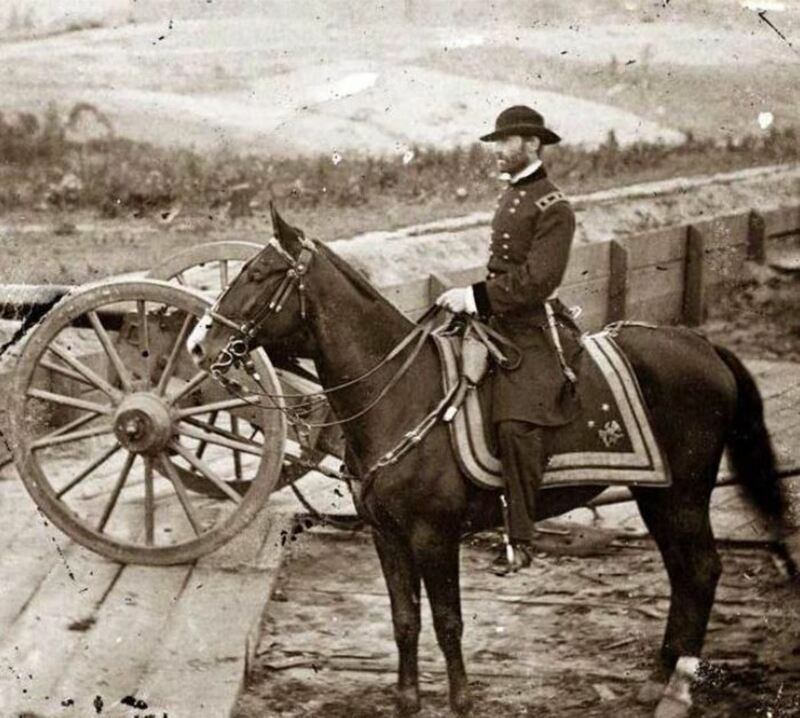 Sherman had constructive alternatives which he did not consider. Hi, Ann. Sherman gets a lot of bad press, and deservedly so. It's good, as you say, to take note of a side of him most people don't know about. Thanks for reading and commenting. Sherman like many of his time had to make some hard choices. It's nice to learn that he had another side. Thanks, wrenchBiscuit. This is a part of Sherman's life that's often overlooked. He was a man with a lot of pluses and minuses in his life. This is an interesting, and well written story that I have never heard. Thanks for posting!